An IAS officer serving in Mizoram has written a strongly worded letter regarding the protest in the state on Republic Day and how protestors prevented government servants from attending the Republic Day celebrations. Bhupesh Chaudhury, the IAS officer has written the letter addressed to home secretary, Ministry of Home Affairs; additional secretary (UT), Ministry of Home Affairs; chief secretary; principal secretary (Home); and the secretary, Cooperation, government of Mizoram. He elaborated that he along with his ‘fellow officers, reached the northern gate of Assam Rifles Ground in Aizawl to attend the 70th Republic Day function at 7 am’. However, to their ‘shock and surprise’, they were stopped at both the entrance gates and were told by the members of Joint NGO Coordination Committee that we cannot attend the Republic Day function 2019’ and that they should return to their quarters ‘before any untoward incident happens’. Notably, the joint NGO coordination committee had earlier taken out a resolution boycotting the Republic Day function throughout Mizoram in their opposition to the Citizenship (Amendment) Bill, 2016. The IAS officer went on to allege that none of the duty magistrates and police with all their reinforcements were willing to take any action against the members of Joint NGO Coordination Committee who were forcefully preventing the Government officers and other citizens from attending the Republic Day celebrations. Senior police officers present at the location simply expressed their helplessness at the situation, he further alleged. “While it is the duty of the Government to ensure that every citizen of India is able to celebrate the Republic Day with freedom and fervour, incidents like this show that we have failed in the most basic of our duties,” Choudhury further wrote. 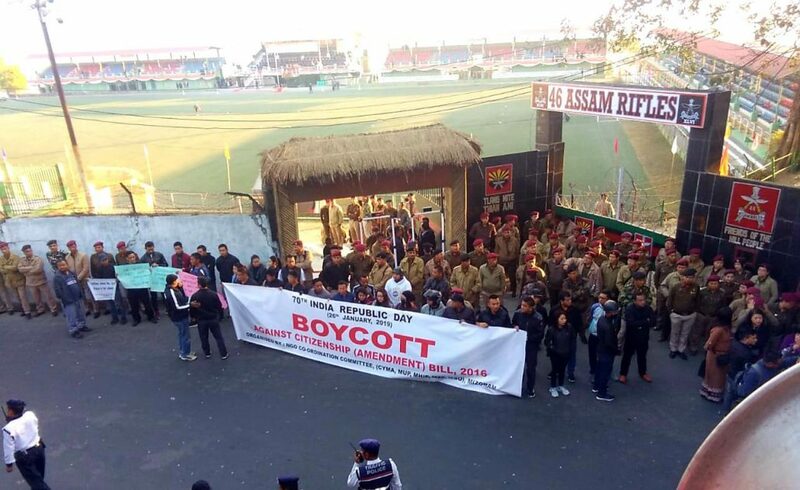 Through the letter, the IAS officer has also requested concerned authorities to ‘thoroughly investigate the particular incident and take strictest possible action against all involved for publicly boycotting the Republic Day celebrations throughout Mizoram and forcefully preventing the civil servants from attending the Republic Day function in Aizawl’.